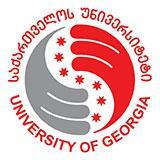 Admission at the University of Georgia (UG) is possible by filling out the Application Form . In order to complete your application, please send all the required documents. After submission you will receive an offer letter with the unique number from the Admission’s Office. Beside of the Application, an applicant must send the other required documents, which are listed below. Which documents do I have to include with my application, as I am an international student? Do I need to take an English language test or do I have to submit a certificate? Residents of the countries where English is a mother tongue are not required to present any certificate of English Language Proficiency. For other applicants, it is obligatory to present document which proves that an applicant passed English language B2 level or equivalent. If an applicant can’t present the document, the University will conduct English language examination. Which programs are offered to international students? How long the enrollment procedure lasts? As soon as the required documents will be submitted by an applicant, Admission’s office translated, notarizes and prepares documents in order to submit it at the National Centre for Educational Quality Enhancement or recognition. Recognition of the foreign education takes around 3 weeks. But it can be extended due to some reasons. Based on the recognition document, Minister of Education and Science within the 2 weeks issues enrollment decree. After that, an applicant will be officially a student of the University of Georgia. An applicant wishing to check his/her application status must send an e-mail to the Admission’s Office at admission@ug.edu.ge and request the information on his/her application by sending offer letter unique number, surname/name and passport number. Does the tuition fee includes the student ID card? Yes, Student ID card is available for all students. Does University provides visa support for international students? How can I acquire the Residence Permit? If a student has a study visa, he/she is able to acquire residence permit. For details, a student must address the Public Service Development Center of the Justice House and receive information about the required documents. In order to get Residence Permit, a student must submit his/her application via My UG and request the document on student status which will be prepared by the Office of International Students and International Relations within 2 working days. Prepared document will be available at the front office of the International Students and International Relations Office.